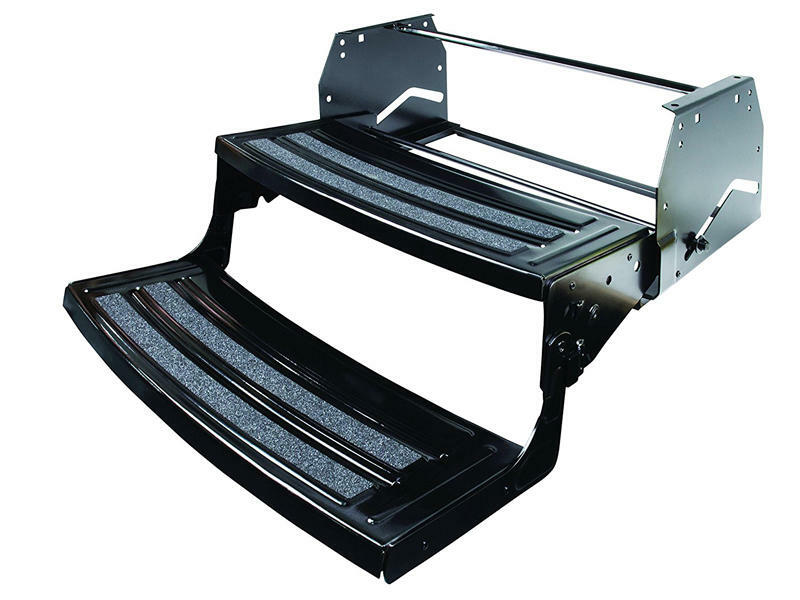 Lippert Components provides a full line of radius style steps for towable RV’s. These steps extend and retract easily with only one hand. All steps have a black powder coat finish that will protect it from the elements. 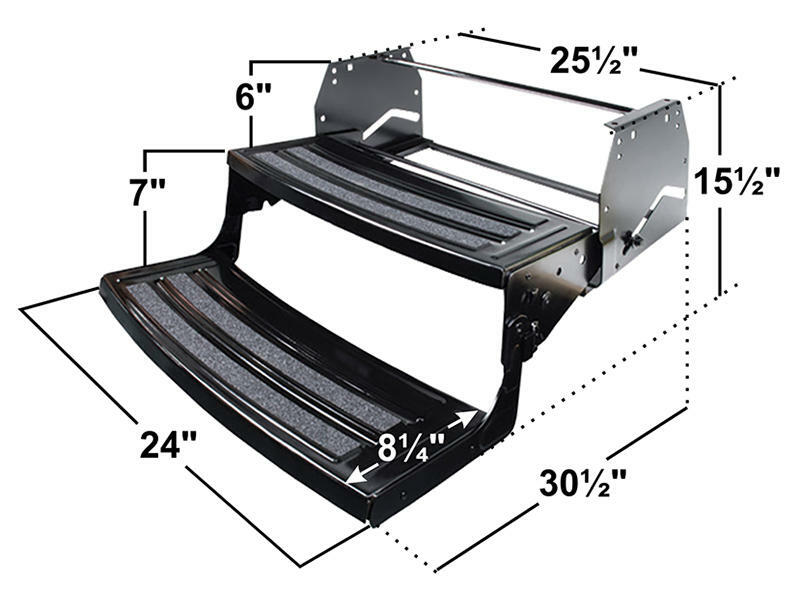 All steps are 24" wide and come with anti-slip skid tape. See picture 2 for all dimensions.